A new chapter in photography is opening up for me – but it is one which is distinctly retro and vaguely familiar. I have invested a relatively small amount of money in a Zenit-3 camera, made in the Soviet Union in 1968. It is very solid, its weight protected by a fragrant leather case – and entirely mechanical. There’s no sniff of a battery here, and of course it takes rolls of film. That’s what we all used to do before the advent of digital cameras and memory cards. The familiarity comes from being old enough to remember film photography, while around 1980 my late father bought me a Zenit camera which I remember very well. My hands were too small to handle this metal chassis, while the finer points of aperture and shutter times were a little beyond me. But it was used to produce slides from family holidays and star trail captures from an interest in astronomy. This memory was revived by Stephen Dowling, a friend with a passion for vintage photography. 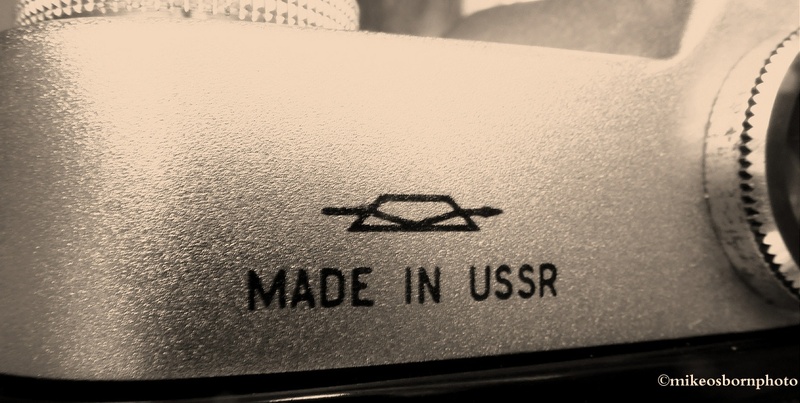 His Flickr stream shows just what can be achieved with Soviet cameras and spurred me into my recent purchase. In the first few tentative weeks I’ve mechanically loaded the first film, which is a feat in itself. The first shots without a digital guide to light levels have been a challenge. So has remembering to stop the aperture myself. 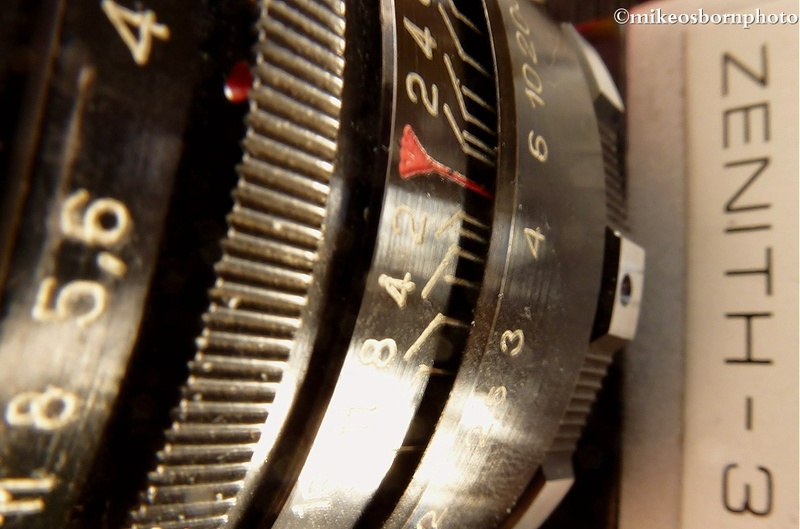 But the love affair is taking root – the clunk of the shutter is beautiful and focusing by hand delicious. It’s a world away from my trusty, nimble and lightweight Lumix which will remain the main tool of my photographic endeavours. What the first black and white film from my Zenit yields will remain a mystery until it’s been developed, but I look forward to sharing the results here. yes, waiting to see the results…that’s a fine camera! Thank you! I think the first roll will be a dog’s dinner, but it’s an enjoyable learning curve. She’s in fine working order for sure. Mike, I used to make pictures about 20 years with the same camera and I still have a lot of pictures and slides. It is simple but durable camera with pretty good lens. You’ve made good purchase. It is not really efficient camera but with it simplicity is good for learning and understanding photography. Hi Alexander, yes, I guess you are quite familiar with these cameras. I’m already learning the skills we forget with digital photography. It will be a good experience, I hope. Thanks for coming by as always. Thank you, it’s going to be an interesting journey. Yes, they were so robust that many survived and are still available today. Thank you Marks, I’m hoping it will bring an added dimension to my photography. That’s funny – the phrase must be a peculiarly British one (and from another era!) Thank you for stopping to add your thoughts, it’s much appreciated. Thanks very much, Richard. 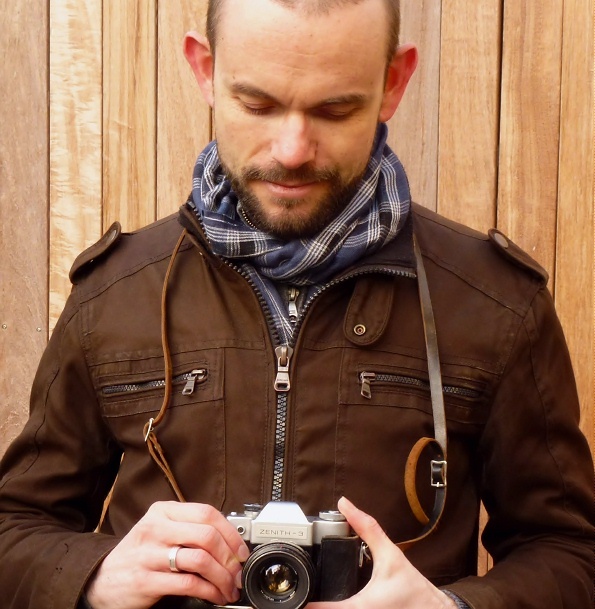 The camera’s an old beauty – dwarfs my Lumix! I look forward to seeing the results. I still have my Zenit, my second ‘proper’ camera that replaced my first ‘proper’ camera – a Zenit! Oh lovely! Do you ever dust it off? This one already feels like part of the furniture, although needs plenty of care and respect. Oh I hope so. I’m sure there’ll be disappointments and frustrations along the way, but this will be an interesting journey. 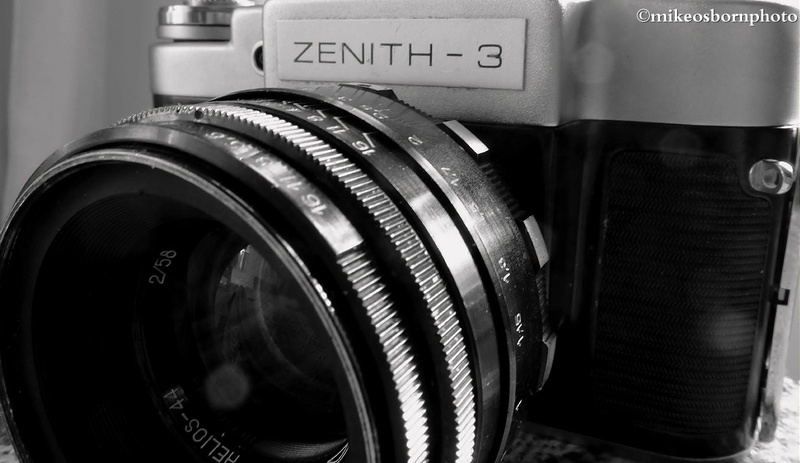 Looking forward to seeing the results – I took my Zenit 3M out the last couple of weekends. Some nice shots from the old beast. And mighty fine they are too! …i still have the zenit e camera my mom gave me when i was a teenager! This brings back memories. Look forward to seeing the material. Glad to hear it. Same for me, glad to be embracing it. I’ll share the first results when they’re processed. Thanks Bjorn, but he/she can be a devil to handle! Good to see some of your work too – look forward to seeing more. Thanks! And right back at you!! My first camera was a Zenit B. I wish I still had it.